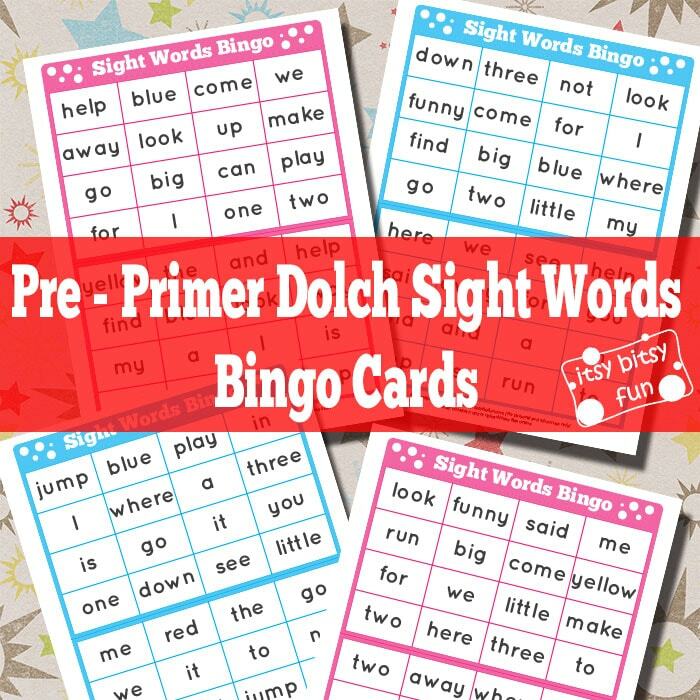 Learning with these free printable pre primer dolch sight words bingo cards for kids will be super fun and super quick. One way to learn these is to use the pre primer sight words flash cards (which I recommend printing and using for drawing the words) but a far more effective (if you ask me) and FUN way to learn them is through play! Kids will be more engaged and will enjoy it more – always a great combination. As a kid I loved playing bingo with my grandmother, we used numbers and images and I wanted to play it over and over again (especially if I didn’t win). 10 pages of which 5 are pink and 5 are blue. There are two 4×4 bingo cards on each page and there all all 40 pre primer words included (each one 8 times). Print them and if you have a thermal laminator (if you don’t I really, really recommend getting one) laminate them to make them last pretty much forever and you and your kids or class can play with them over and over again! 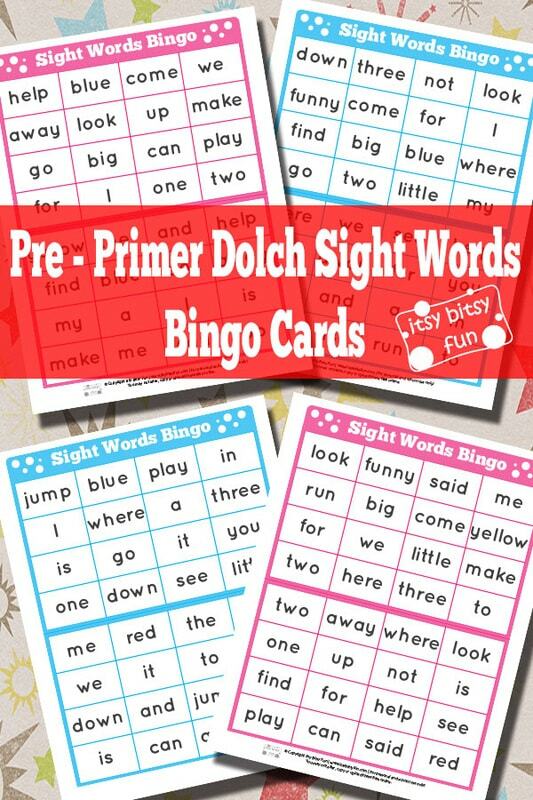 Get these free printable Pre Primer Sight Words Bingo Cards here.